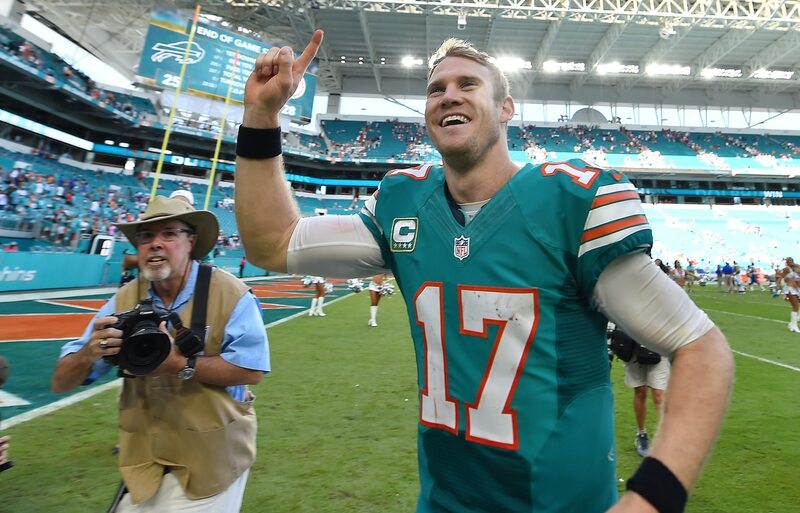 The saga of one Ryan Tannehill seems to have taken an ugly turn late Thursday evening. Following a day of reports that ranged from catastrophic to pleasant news, it now looks like the Miami Dolphins’ biggest fears might be coming to fruition. According to ESPN’s Adam Schefter and Jeff Darlington, the Dolphins now fear that Tannehill will need season-ending knee surgery. Dolphins fear Ryan Tannehill will need season-ending knee surgery, but no decision on it has been made, sources tell @JeffDarlington and me. Unless you have been hiding under a rock for most of the day, you already know Tannehill suffered an ugly-looking non-contact knee injury Thursday morning. Initial reports were that the Dolphins feared he might have torn the same ACL that cost him the end of the 2016 season. Those reports give in to news that he didn’t suffer any structural damage to the knee. Though, further tests were said to be needed. If Tannehill does indeed need season-ending surgery, it would place Miami behind the proverbial eight-ball. Realistically, veteran Matt Moore would assume the starting duties. Though, the Dolphins have at least kicked the tires on Colin Kaepernick and Jay Cutler himself seems to be interested in reuniting with Adam Gase in South Beach. In any event, this is a story that’s not going to go away any time soon. Until we get a full diagnosis on Tannehill’s injury, the Dolphins themselves will be holding their breath.